We lost him last year. He was remarkable. He was unique. He was a winner. Not just good success. Not even great success. He had the kind of success that almost defies belief. And the common thread in all his success was preparation. It started when he was just a player, if you can use the term “just a player” to describe someone who was the first person to be named basketball All-American three times – an achievement only matched by two others. While still in college, he won a national championship, and was named to the Basketball Hall of Fame. He went on to become a coach – an extraordinary coach, winning ten NCAA national championships in 12 years. While at UCLA, he won an unprecedented 7 national championships in a row! It was during this period that he won 88 consecutive games, and was named Coach of the year six times. Success beyond belief. He is one of the most celebrated and revered leaders in the sport. He coached basketball greats like Kareem Abdul Jabbar and Bill Walton. Part of Coach Wooden’s legacy is the Pyramid of Success which outlines his 15 keys to success. One of the building blocks in the pyramid is Skill. Part of Skill, says Coach Wooden, is to Be Prepared. As I write this, the beginning of a new year approaches. The past is just that – past. There is little we can do to affect what has already transpired, except perhaps learn from it. But the future – now there is an entirely different story. Many people set resolutions for the new year, which is a great thing to do. But as many of us have learned, resolutions by themselves carry little power. By itself, without proper framework, a resolution is doomed to fail. So what is the framework? What can we do to help ensure our resolutions are successful? 1) Know what you want to do (see Can I Draw It With A Crayon?, and Am I Smarter Than A Harvard Grad?) through effective goal setting. 3) Take action every day on some part of your plan. Today’s question is centered around number 2 – Prepare. 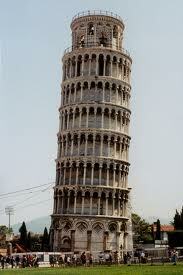 The Leaning Tower of Pisa is a famous landmark because of its peculiar cant, or lean. It is a great example of a lack of preparation. It was built on a foundation that was not strong enough to support the structure, in soil that was unsuitable. Expansive (and expensive) countermeasures have been taken over the years to try and stabilize the structure. That’s what happens when we fail to prepare. We wind up spending time and resources in an effort to correct all the problems caused by the lack of preparation. From late fees to missed appointments, from poor return on investments to presentations that didn’t do our product justice, being unprepared creates headaches on a lot of levels. Be Informed – the first step to being prepared is to know what you are preparing for. Be sure you have written your goals and have them firmly in mind. (For a free presentation on SMART Goal Setting, send an email to terrydnewberry@bellsouth.net). 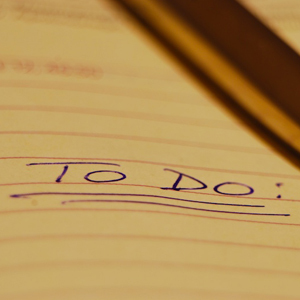 Brainstorm all the things you should do to prepare for each step. Be Intentional – each day, review your goals and the steps necessary to achieve them. Set a clear expectation with yourself that you will fulfill at least one step or take at least one action toward your goal that day. Write it down. Track your accomplishments. Be Aware – how many opportunities have been missed because we weren’t paying attention? Notice everything. That person you just met may well play a key role in fulfillment of one of your goals. That opportunity that someone mentioned might be a path to the next step for you. Be Expectant – When you take action toward your goals, some magic things begin to happen. As you talk with others about your goals and dreams, “coincidences” pop up everywhere. Events seem to align in your favor. You meet the right people; you are in the right place. There is a magic in the air. Expect that. Walk through every day, aware and expecting something unexpected to happen which will help you in your quest. Success doesn’t happen by itself. Attaining our goals won’t happen without preparation, intention and purpose as we pursue them. But with planning, preparation and focused intensity, we can see nearly any dream come true. How am I preparing now for next year? Next month? Next week? If you like this post, please feel free to Like It, Share It, or leave a comment! This entry was posted on Friday, December 16th, 2011 at 10:13 pm	and tagged with Abraham Lincoln, Basketball Hall of Fame, Bill Walton, Goal, Goal setting, Kareem Abdul Jabbar, Leaning Tower of Pisa, terry newberry and posted in Uncategorized. You can follow any responses to this entry through the RSS 2.0 feed. « The Card or the Gum?